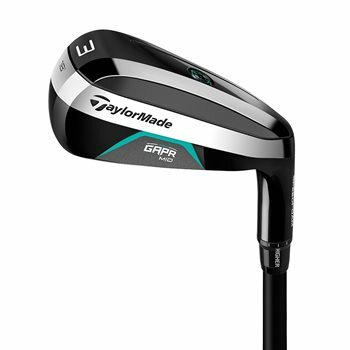 Offering the perfect blend between a driving iron and a hybrid club, the GAPR Mid is a unique combination of speed and forgiveness. It has minimal offset similar to an iron, but generates power like a metalwood hybrid. The club is optimal for attacking long par 3’s and 2nd shots where the traditional iron will leave it short. The head is created with TaylorMade’s revolutionary SpeedFoam technology, allowing for thinner, faster faces while still maintaining excellent contact sound and feel. Ultra low CG for extreme distance with a mid-high trajectory. Iron face profile inspires confidence and easy alignment. Medium sole width for ease of play and versatility.